I would absolutely not translate this as armed strike, I think that is misleading and will make most listeners think that a union is on strike and carrying guns on the picket line. Instead it refers to when the paramilitaries in Colombia shut down a town or region. They announce that there will be a shut down, and what that means is that if you open your business, drive your car, even walk down the street you might get shot (or have your cab set on fire, as in these photos). Entire cities become ghost towns on these days. 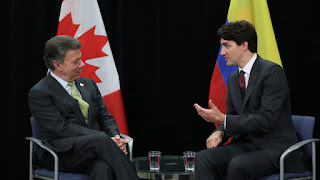 I had the privilege of interpreting for Alfredo Molano over the past few days, and I was surprised that in many of his meetings in Ottawa people did not seem to have heard of the recent paro armado in Colombia. As he repeatedly emphasized, it is extremely telling that the paramilitaries were able to completely shut down 1/3 of the country for several days. They didn't even have to walk around on the streets with guns to do so - they have instilled so much fear from years of massacres and assassinations that simply their threats (circulated on social media no less) were enough to keep everyone home. The recent surge of paramilitary activity in Colombia, which has also included a wave of assassinations and attacks on human rights defenders, is extremely dangerous for the peace accords. 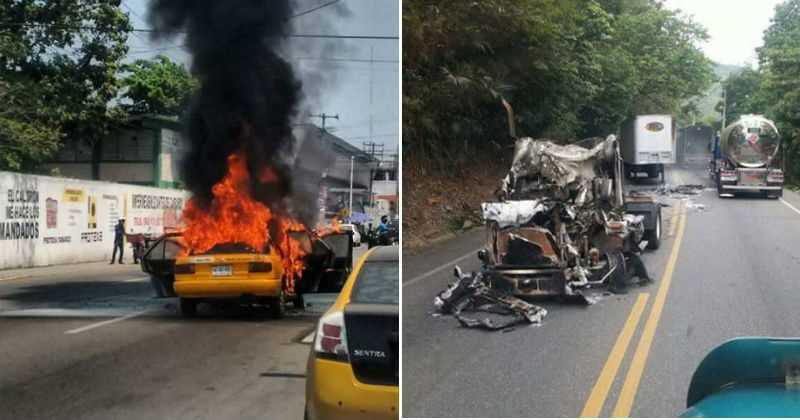 As Molano again repeatedly emphasized, the guerrillas will not lay down arms if they are just going to be killed off by the paramilitaries as soon as they do. It would be suicide to sign up for a second Union Patriotica massacre. Of course this is precisely why the paramilitaries are surging, since they want to block a peace agreement. The president of Colombia has responded by announcing, in the past few days, more intense military attacks on the paramilitaries. The problem is that large sections of the Colombian military (though not all) are on very friendly terms with the paramilitaries - as was quite dramatically illustrated during the paro armado during which they simply looked the other way. It may actually be that the US has more ability to influence the Colombian army than the Colombian government itself. That is my take, not Molano's, but as he pointed out, the Colombian army is set up such that to ascend in rank you have to attend training in the US. If the US truly cut off training at the School of the Americas and other institutions for those who were not actively working against the paramilitaries, that would go a long ways to supporting peace in Colombia. This week the US offered to share intelligence with Colombia on the paramilitaries. I was quite surprised to hear that they hadn't already been doing that. I hope that the US will step up and do more. 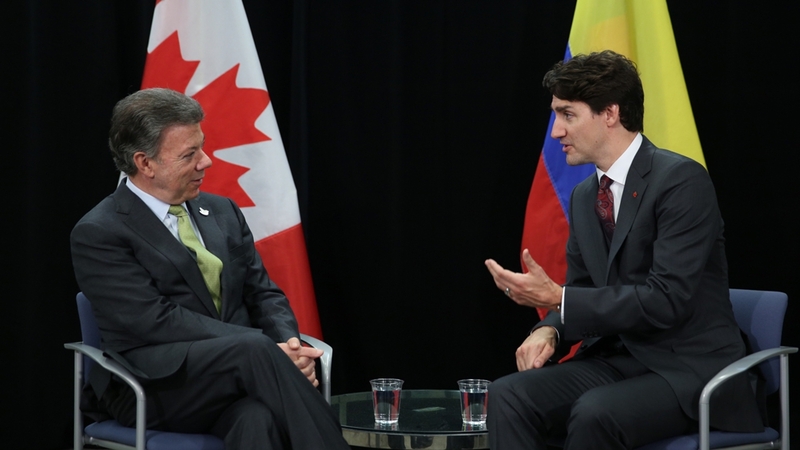 I would also love to hear Canadian Prime Minister Justin Trudeau, who recently met with President Santos, explicitly say that Colombia needs to deal with the paramilitary threat to achieve peace. Santos seems convinced, but the more international pressure there is, the more the extreme right in Colombia may get the message. My friend Manuel Cedeño Berrueta, a translator in Caracas, asked about using the word curfew. It's an interesting option and might work, but I think that the connotation of curfew is that it's much more friendly, often done by that state for people's own security and usually only imposed during the evening hours, not all day - so again I think it could be misleading.